Cooking is an art. As an art, you the chef is the artist. As an artist, you will have to find ways to make your cooking attractive, beautiful and palatable to the viewers, the consumers. As an artist, you have to use your skills, in order to find ways to improve not just the appearance of your cooking but its taste. Today, a lot of people are good in eating and putting something into their stomach. However, not many are gifted when it comes to cooking or that something they want to put into their belly. I saw this on a pan so I took this photo while one of my students was cooking for a group of weekend campers. While her companions were doing something, this student just enjoyed cooking in order to make her companions happy. as soon as she is done cooking, then her friends are just as ready to devour the food. 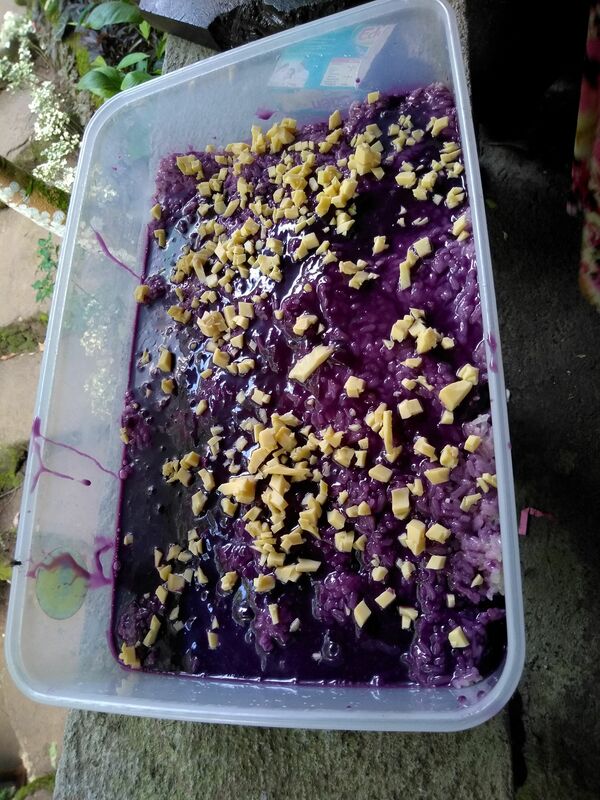 She calls this malagkit in ube.